Lighter weight fast durable 4-seasons road bike tyre with exceptional grip and puncture resistance from an expert Italian bicycle tyre maker. 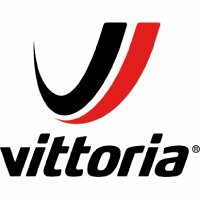 G+Isotech is Vittoria's unique Graphene compound for reduced rolling resistance, and improved grip, durability and wear resistance. 'The popular all-round tyre is now updated and better than ever. Designed for intensive training it is equally suitable for many racing events.' Vittoria.